Tomorrow is Christmas Eve and I couldn't be more excited! All weekend my mom, sister and I have been prepping to have the holiday at my house! I know there's a lot of people who don't celebrate Christmas Eve but I'm Italian so it's a tradition. I am in the full Christmas spirit and I have my favorite Christmas movies to thank for that. ABC Family's 25 Days of Christmas always come in clutch in December when all I want to watch is something Christmas themed. I was thinking the other day what my favorite Christmas movies are because it's always so hard for me to make those kinds of choices. 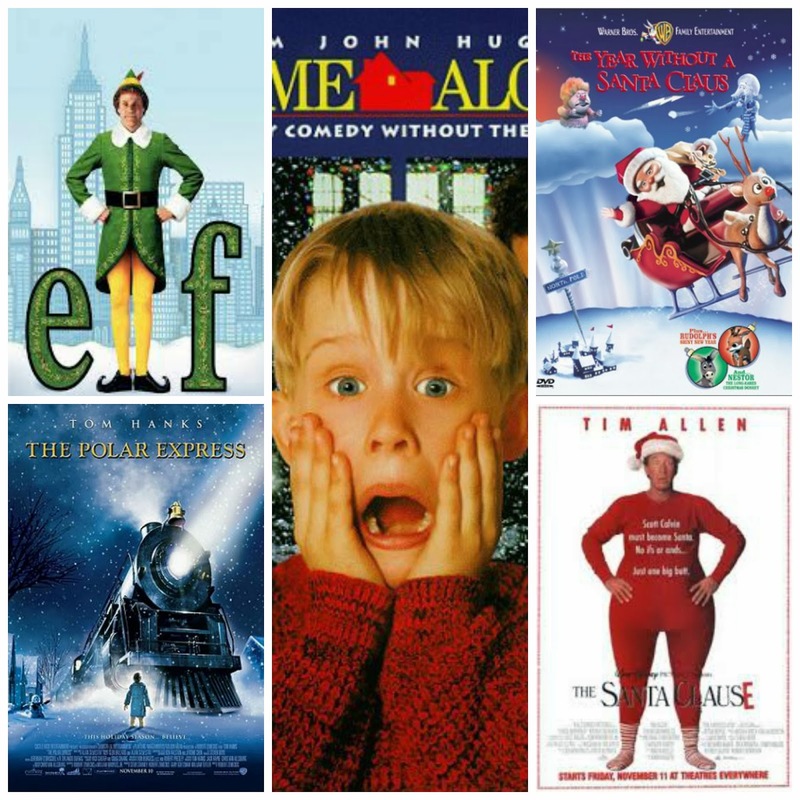 I narrowed it down and these are the movies that really put me in the Christmas spirit. Elf is hands down my favorite movie and I haven't seen it yet this season! (Disappointing) I remember seeing it in theaters when it first came out and it's just so hilarious. It puts me in the greatest mood and is so much fun. I'm pretty sure this is on everyone's favorite list; it's such a classic and reminds me of childhood. Also, Kevin is such a badass; we all wish we could be as cool and brave as him. I'm addicted to all the old clay-mation Christmas specials but this is by far my favorite. I can't even explain why, maybe because it's a story never told like Frosty or Rudolph. It's just my favorite movie to watch during the Christmas season. I saw this Christmas movie in theaters also. I remember my mom crying at the end of it and I never understood why...that is until I watched it a few years ago. I truly understood what this movie was about and now it makes me cry whenever I watch it. This is another classic that I loved watching when it played on ABC. I know it's weird but I love watching it in the original quality, non of this 2013 HD stuff but true 90s fashion. Tim Allen is awesome and it's simply wonderful. What are your favorite Christmas movies to put you in the Holiday spirit? Tell me in the comments!